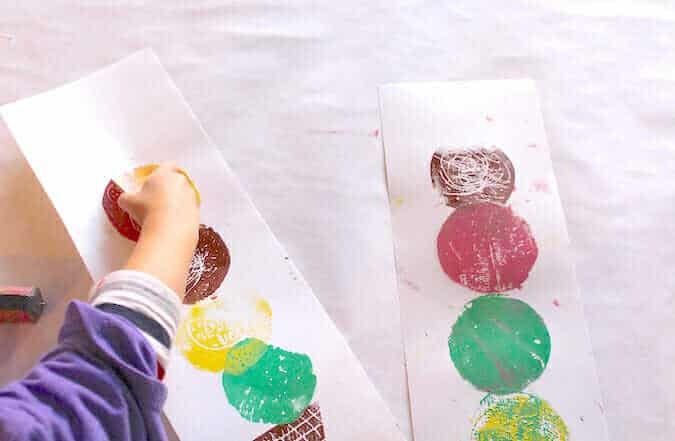 An easy printmaking project for children by Samara Caughey of Purple Twig. I was so excited when Jean asked me to share one of my favorite easy printmaking projects! 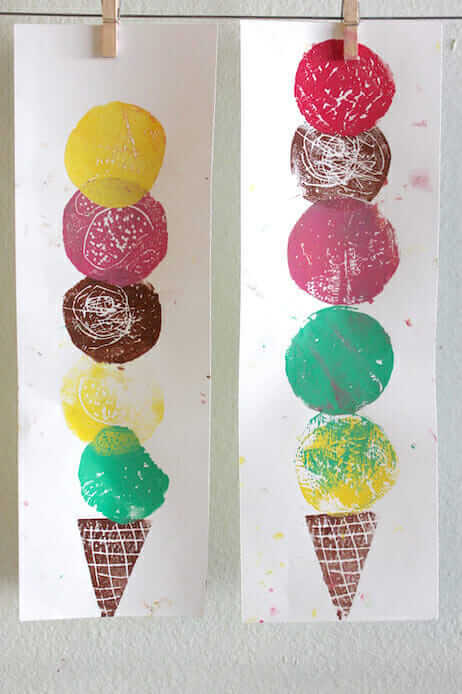 We have been printing ice cream cones with kids at the studio for years. I am always trying to find ways for kids to collaborate on projects and this is one we created during our ARTful Feast week of summer camp. The idea is that each child makes a printing plate of their own ice cream scoop and chooses their own color to print on each printed cone. This is a wonderful project for a birthday party, but you could also do this at home and have each family member create a scoop choosing different colors to print. I usually do this project with ages 6-8 but I took the opportunity to create with some of my smaller students who are age 4. Tape down the inking plates onto a table covered with paper or an oil cloth so the pieces of plexi-glass (or placemats) don’t move when rolling out the ink. Cut the foam into circular shapes for the kids and also cut one piece of foam shaped like the cone for yourself to print. I start by talking a bit about patterns and what kind of things might be in an ice cream scoop (sprinkles, chips, gumballs, gummy worms, etc). Then have the kids draw into the foam, making sure that you can feel the impressions of the pencil. I also drew the cone pattern onto the cone shaped foam. This will be the printing plate. Next we decided on our ice cream flavors. You can have as many as you would like! We chose 4 because that is what would fit onto our table. When mixing the ice cream colors, I usually add white to make the colors a bit more pastel. The kids chose mint, cherry (or strawberry), lemon (or vanilla) and of course chocolate. I do not add white to the chocolate brown, but you could if you wanted it to be milk chocolate. 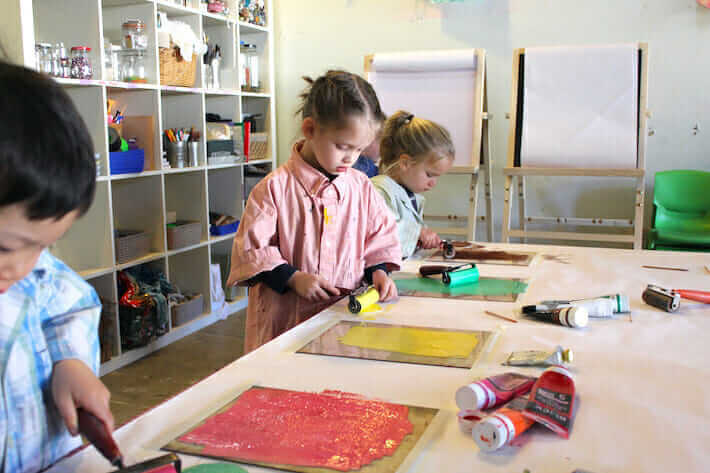 Once all the colors are placed onto the inking plates, it’s time for the kids to get into using the brayer by rolling out the ink onto the plates. Some kids just want to do that and not bother with the printing part, which is fine with me. I printed my own cone first to demonstrate how to print. Using the brayer, roll the ink on the inking plate (plexi-glass or placemat), then onto the foam cone. Take the inked foam piece and place it face down like a stamp on the paper. Use a clean brayer to roll onto the foam, pressing the foam onto the paper (or just smooth all over with your hands.) Lift off the foam piece to reveal your print! Notice how each printed scoop has it’s own texture as well as color. 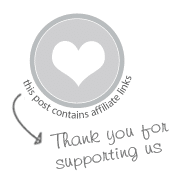 This creates a more dynamic and whimsical final print. The print will be weak if you stamp your foam piece into the ink and just stamp it onto your paper. The brayer is essential to getting a really good print. After a child uses chocolate ink, I wash off the foam piece so they can start clean for a new color. Otherwise every scoop might have some brown and become muddy. Make sure the foam piece is dried off completely before adding more ink. 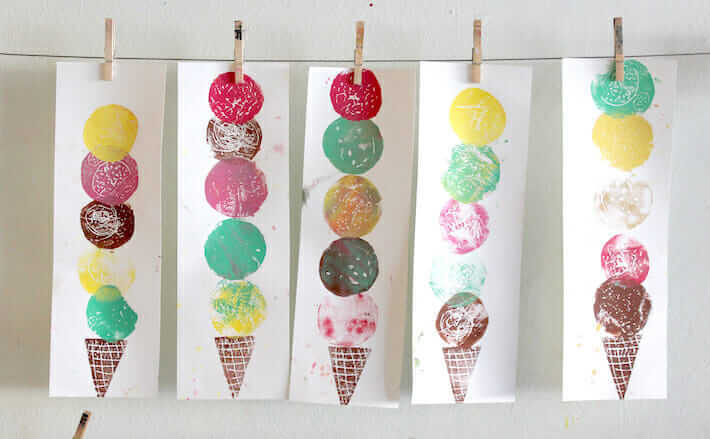 When demonstrating the ice cream art to the kids, I stress the idea that they can print on any paper they want, using whatever color they like. If they would like to switch colors or rub two colors onto one piece of foam that is fine. Samara Caughey is the owner of Purple Twig, an art studio for kids and families in Los Angeles, CA. She has a BFA from the Art Institute of Chicago in Photography and an MFA from USC in sculpture. Samara has been creating art with children for 15 years and continues to be constantly surprised and delighted by watching kids explore materials to create their work!